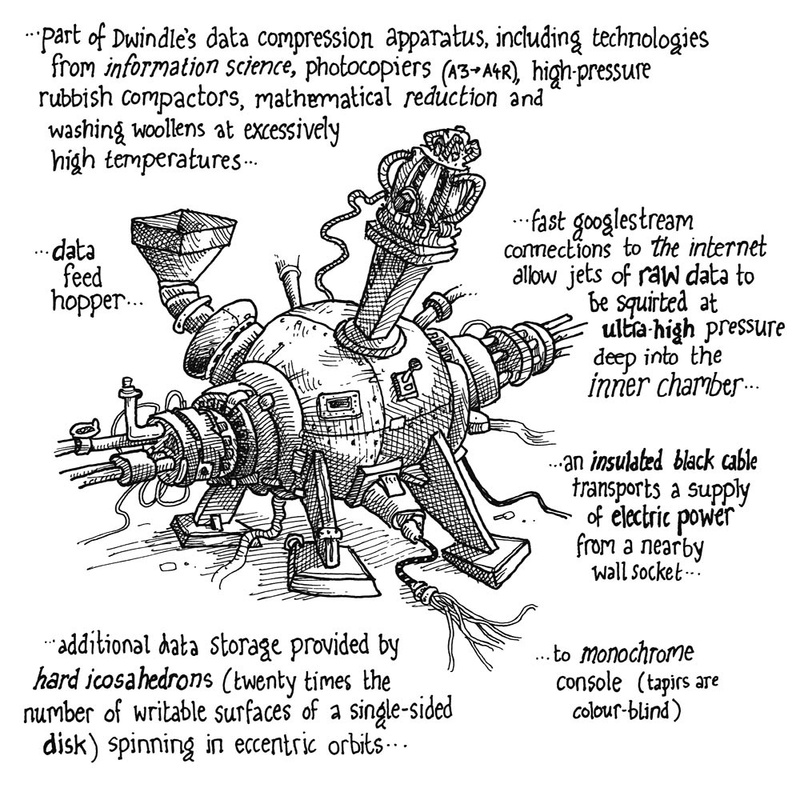 From the original story pitch for Dwindle (submitted to New Scientist magazine in 1991 — see the Dwindle FAQ), this is the compressor that the ingenious tapir builds in order to squash all the world’s information and thereby isolate the Knowledge Atom. The story that was finally released, over twenty-five years later, is considerably different (and less positive); Dwindle the tapir never builds such a machine. The “hard icosahedrons” were lifted from another cartoon project I had been working on, and the word “googlestream” that occurs here predates the formation of multinational technology company Google by several years.